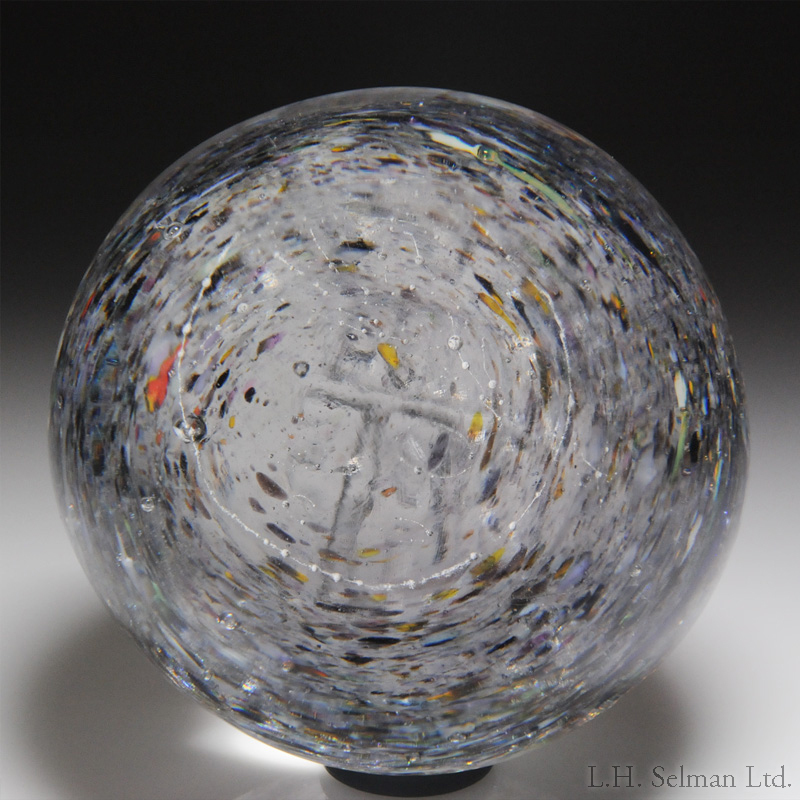 And to cap things off (for now) there is also a sizable donation to Project Fire in the works by an anonymous donor on behalf of the Glass Paperweight Foundation to support a special project helmed by glass artist David Graeber. With this donation Dave will construct a much-needed, permanent flame-working station in their studio, and he will teach the first class using the new equipment this upcoming April! Stay tuned for more details. And thank you again as you make art make a difference! 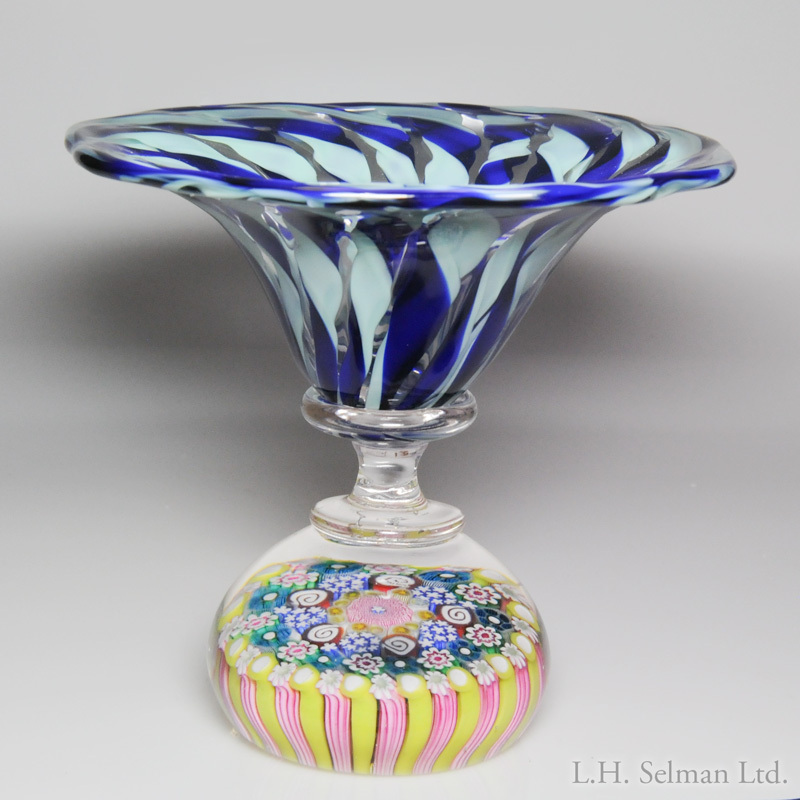 Lot 1: Damon MacNaught, Andrew Najarian and Project Fire collaborative close concentric millefiori base with stave tazza. Signed/dated “Damon MacNaught 2018 Chicago”. Diameter 2 7/8″, height 4 15/16″. Donated by Damon MacNaught and Andrew Najarian. Created at the Project FIRE Studio during Celebrate the Paperweight 2018. 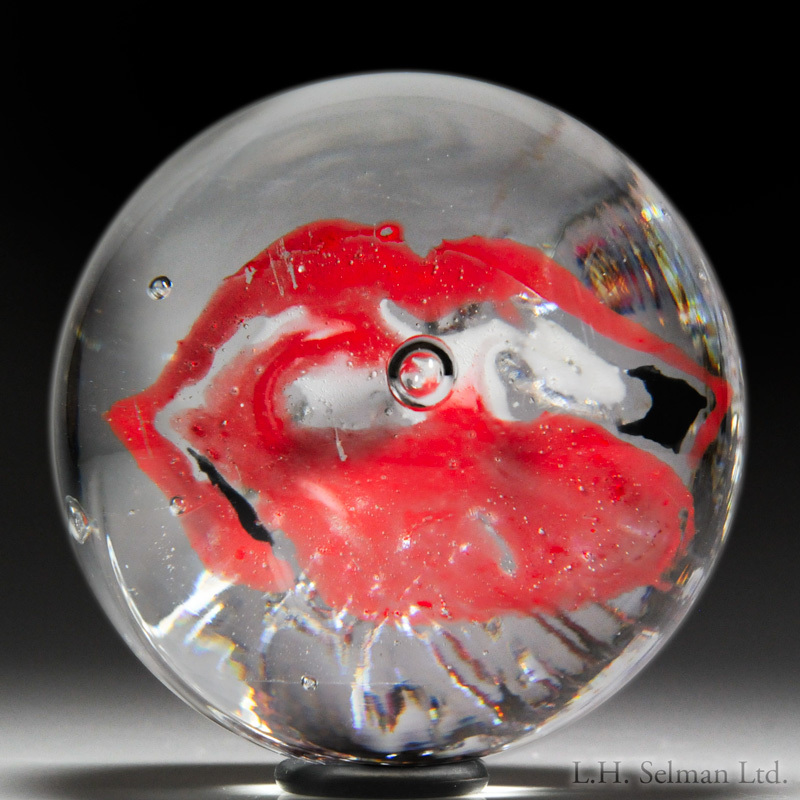 Lot 2: Project Fire, red, black and white abstract paperweight, by Joseph Smith. Signature stamp.Diameter 3 1/4″. Donated by Project FIRE. 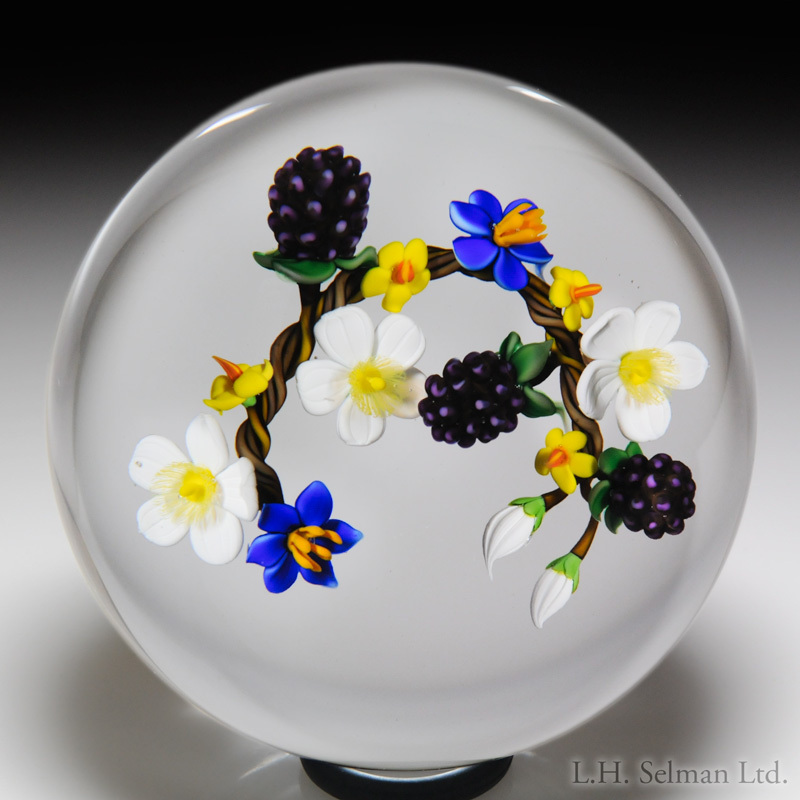 Lot 3: Andrew Byers 2001 braided bouquet with berries paperweight. Signed/dated. Diameter 3 1/4″. Donated by Gena Whitten. 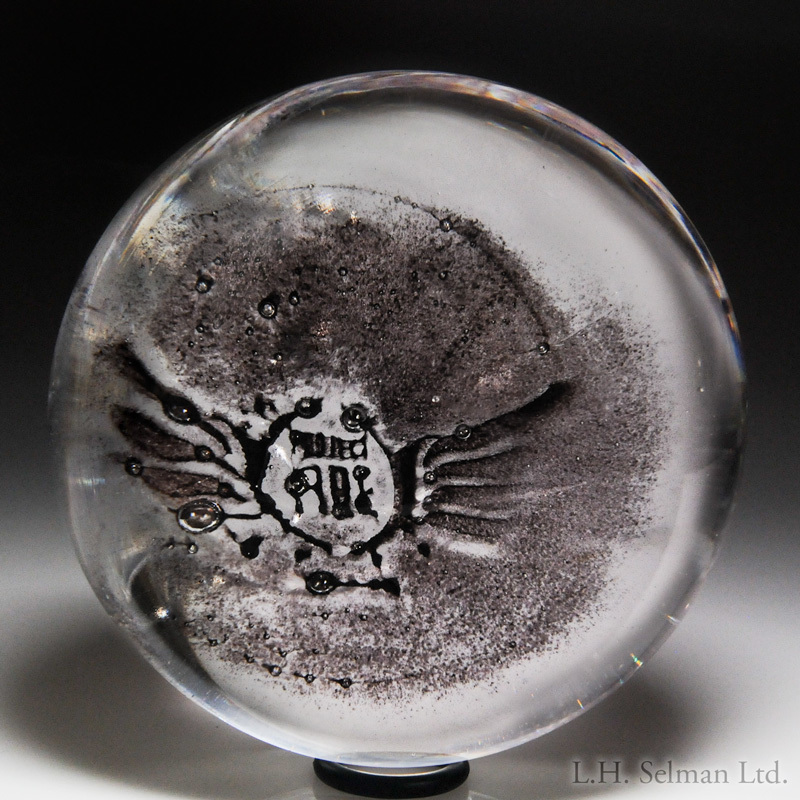 Lot 4: Project Fire collaborative angel wings stamp on clear dome paperweight. Signature stamp. Diameter 4 1/2″. Donated by Project FIRE. 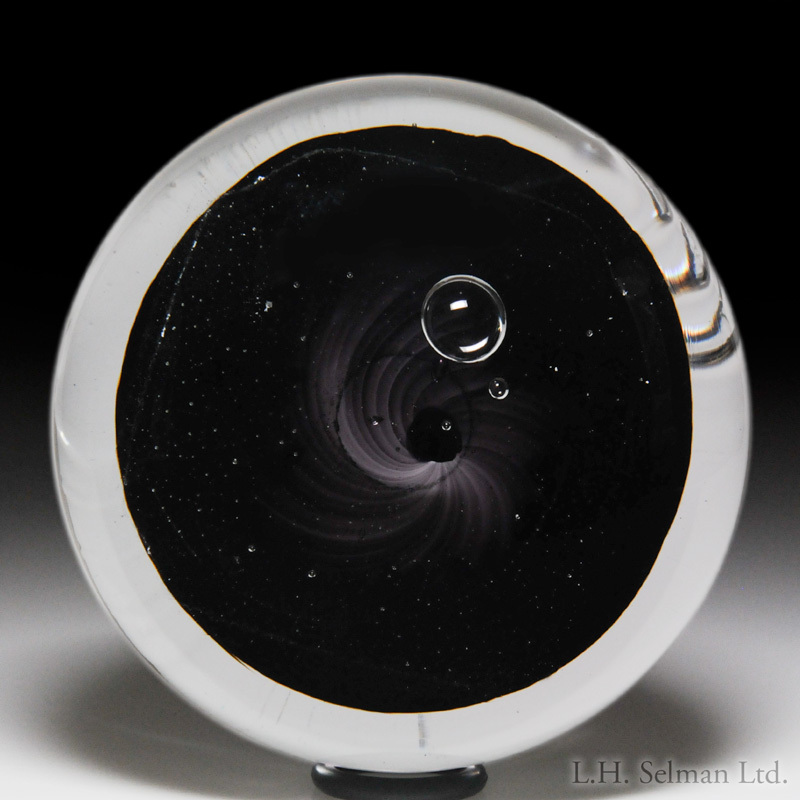 Lot 5: Project Fire dark purple swirl with air bubble paperweight, by Erick Bedolla. Signature stamp. Diameter 4”. Donated by Project FIRE. 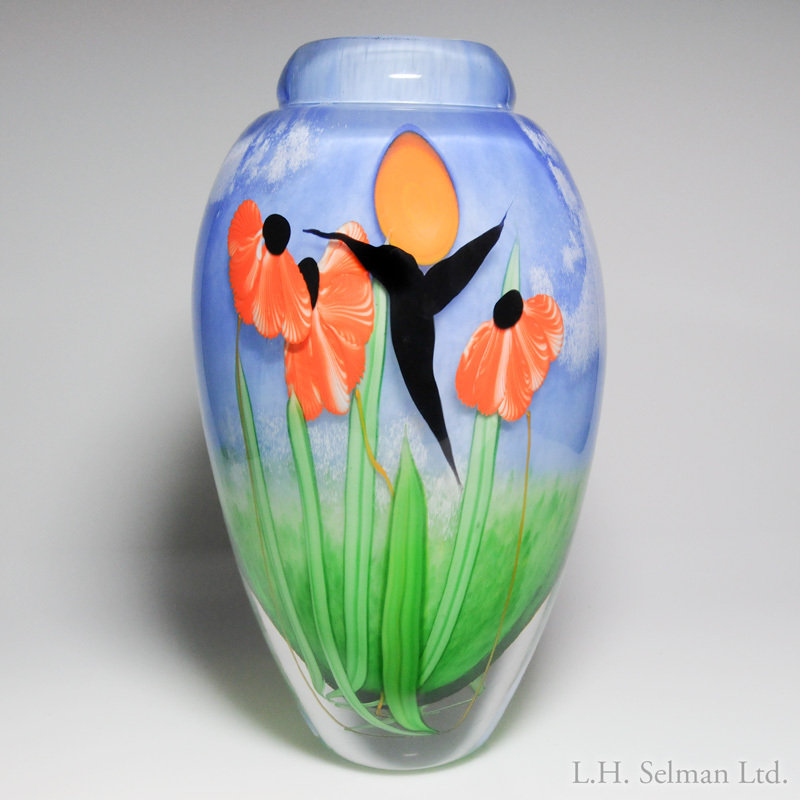 Lot 6: Mayauel Ward and David Graeber collaborative hummingbird silhouette with poppies and blue sky vase. Height 10”. Donated by Mayauel Ward and David Graeber. Created at the Project FIRE Studio during Celebrate the Paperweight 2018. 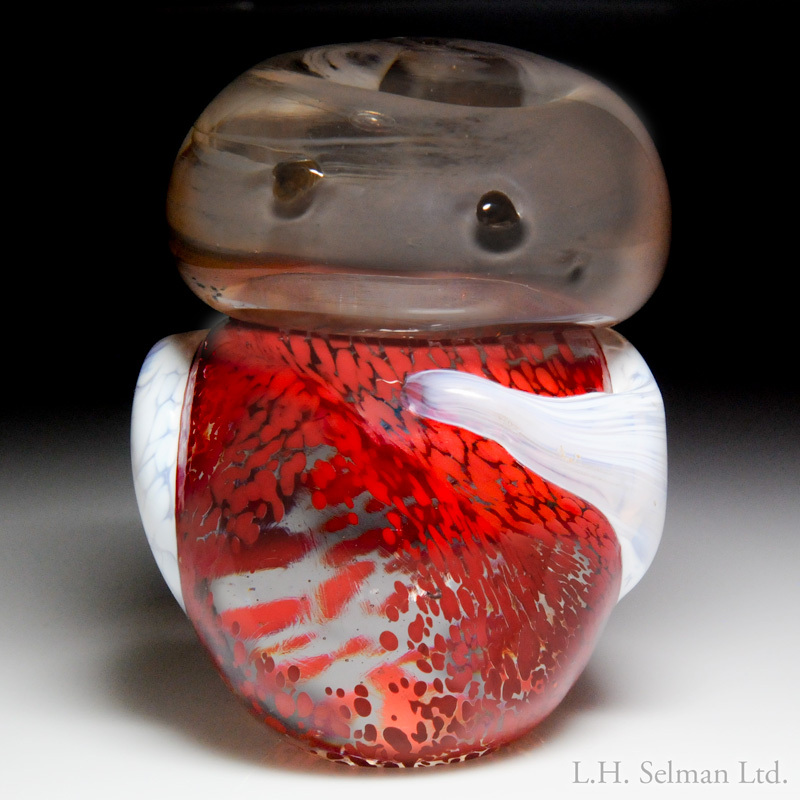 Lot 7: Project Fire mottled red figurine with white hand over heart paperweight, by Deshon Hannah. Height 4”. Donated by Project FIRE. 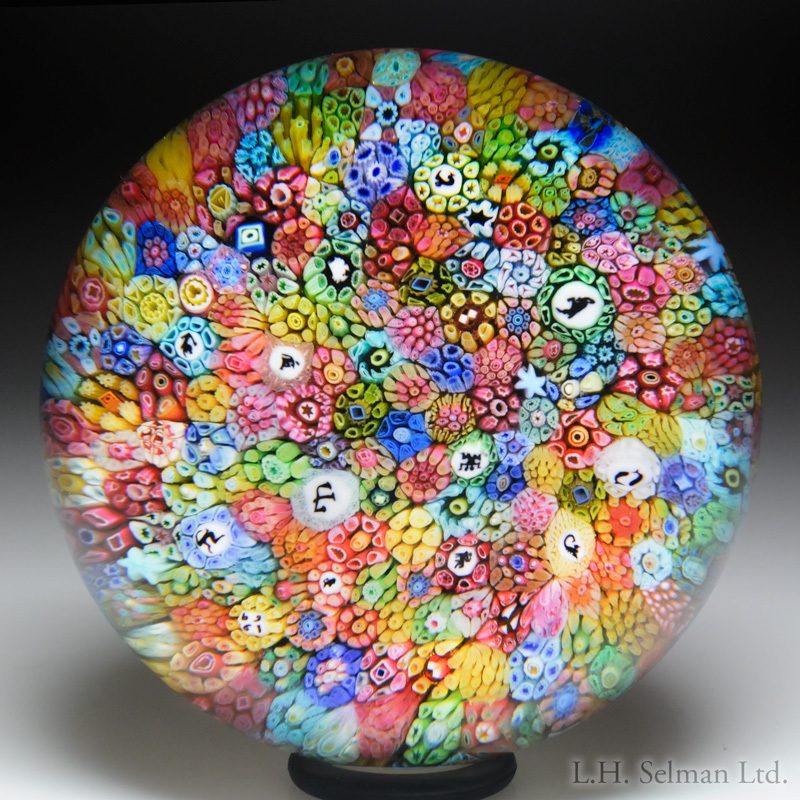 Lot 8: Project Fire multi-colored mottled swirl paperweight, by Erick Bedolla. Signature stamp. Diameter 3 3/4″. Donated by Project FIRE. Lot 9: Baccarat 1969 “Church Weight” zodiac millefiori paperweight. Acid-etched Baccarat insignia on the underside. Date cane. Extremely fine condition. Diameter 3 1/4″. Donated by L.H. Selman. 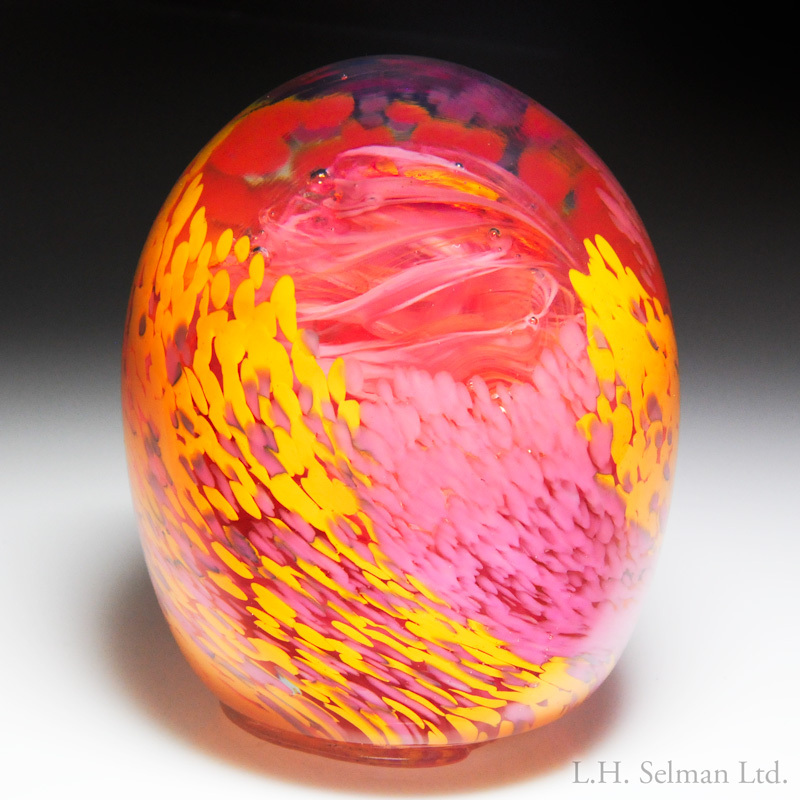 Lot 10: Project Fire pink and orange mottled rising layer with inner pink swirl paperweight, by Raymond Gordon. Signature stamp. Height 4 1/2″. Donated by Project FIRE. 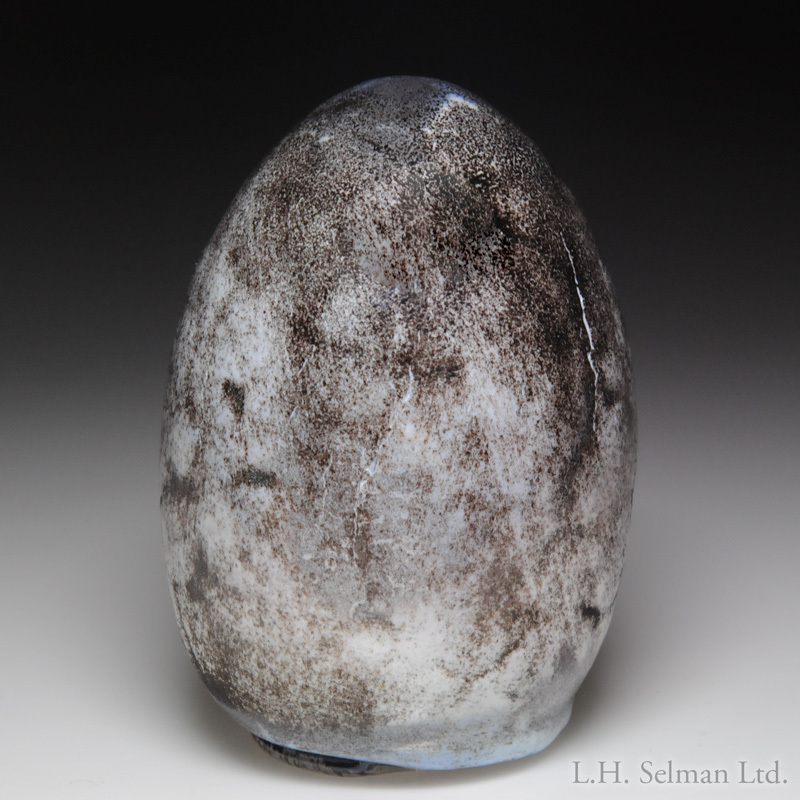 Lot 11: Project Fire speckled and crackled white and gray surface design paperweight, by Latee Smith. Signature stamp. Height 3 1/4”. Donated by Project FIRE. 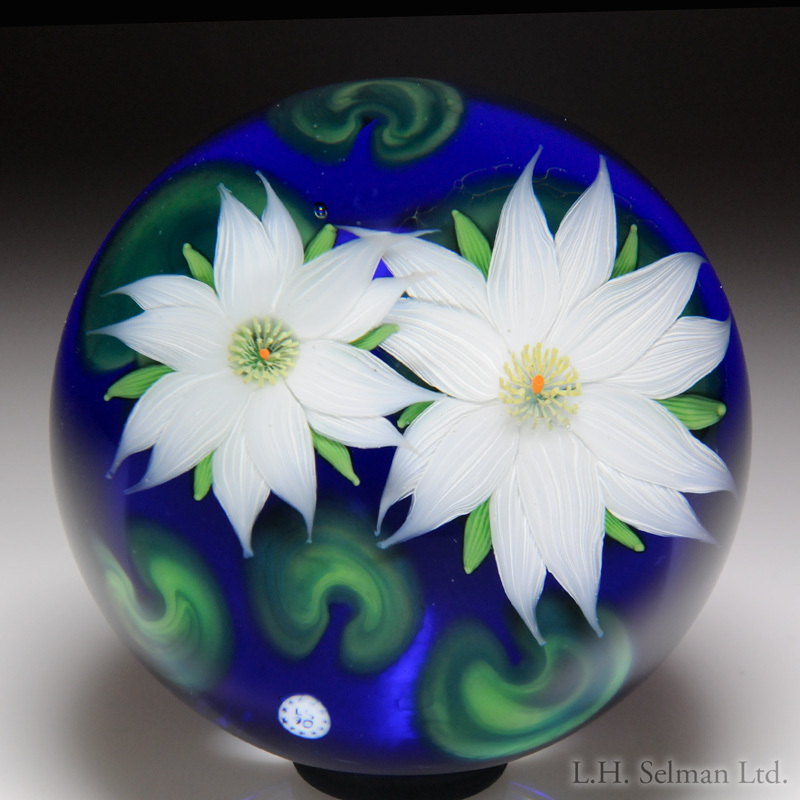 Lot 12: Lundberg Studios 1990 two water lilies compound paperweight, by Steven Lundberg. Signature/date cane. Signed/dated. Diameter 3 3/16″. Donated by L.H. Selman. Will other views of the lots be made available as with Selman’s regular auctions? Yes, alternate photos will be available on eBay’s site.